We are hearing this temple that KANKUZENKEI-SHONIN constructed it in 1492. 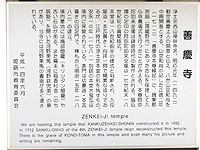 In 1712 SANKU-OSHO of the 8th ZENKEI-JI temple reign reconstrusted this temple. 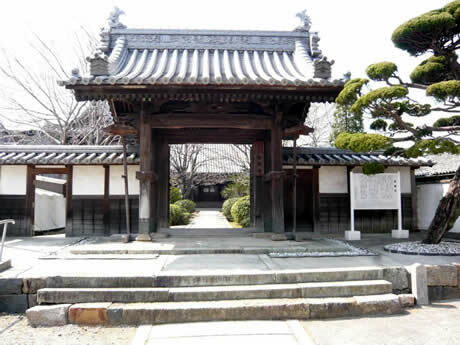 There is the grave of KONO-TOMA in this temple and even many his picture and writing are remaining.